On 2 August, the first inter-agency simulation exercise on humanitarian relief and disaster preparedness between Armenia and Georgia took place with the support of IOM, the UN Migration Agency. 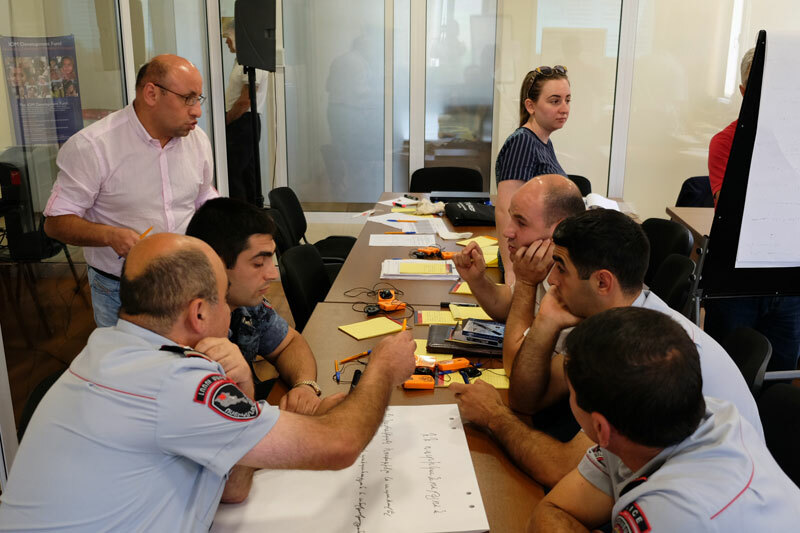 At the request of the Armenian Ministry of Emergency Situations, IOM organized a simulation for 30 participants from concerned agencies at the Gogavan crossing on the Armenian-Georgian border. The exercise aimed to build the capacity of Armenian officials in humanitarian crisis response, including conflict-induced displacement. The initiative comes on the heels of increased migration to Armenia, including from Syria, and rising concerns of climate-induced displacement. The Armenian officials taking part included representatives of border management, police, health, and agricultural agencies, who focused on striking a balance between humanitarian responsibility, the safety and dignity of migrants, and facilitating orderly migration through improved registration and protection. Georgian officials participated as observers. The simulation created a small camp just a few kilometres from the Gogavan border crossing point, where participants worked together to discuss shelter, access to food and clean water, sanitation facilities, and the medical needs of migrants. 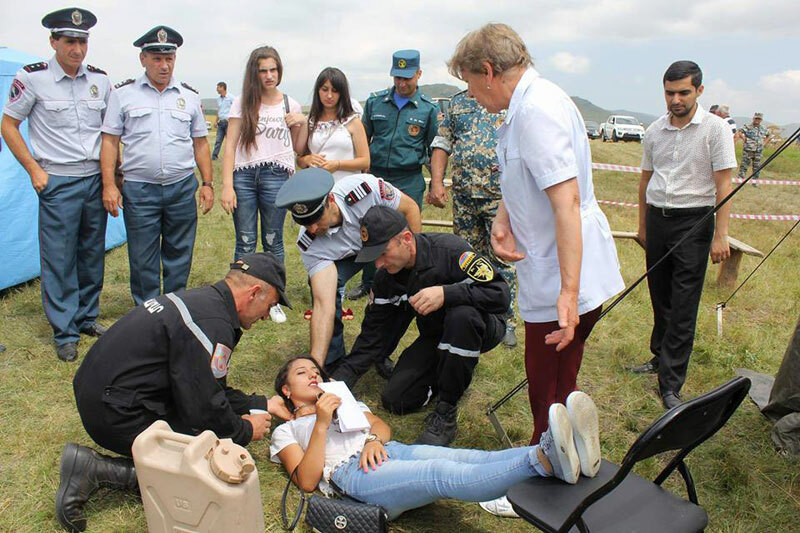 “Such exercises should be conducted in the most realistic way possible in order to expose existing shortcomings and correct them,” said Davit Tonoyan, Armenia Minister for Emergencies, at the simulation.